At Biota Orchards our ciders are artisinal and reflect the provenance that Harcourt has gained from over 150 years of apple growing in the Harcourt Valley. Ciders produced from Biota Orchard are best reflected by the season, site and soil from which they are grown. Our farming philosophy incorporates select strategies and applications from biological and organic management techniques in our pursuit to deliver a “natural expression” of our fruit from orchard to glass. 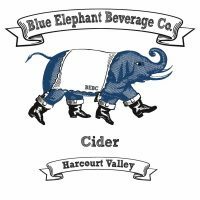 Web: Blue Elephant Beverage Co.